The onion has a mild lemon flavor and is ideal for summer salad with chives and tomatoes. Or why not in your baked potato or in the soup? 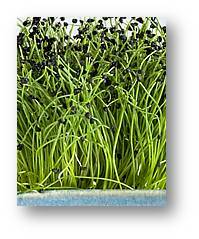 It is very protein rich and contains a large amount of vitamin A, C and vitamin D.